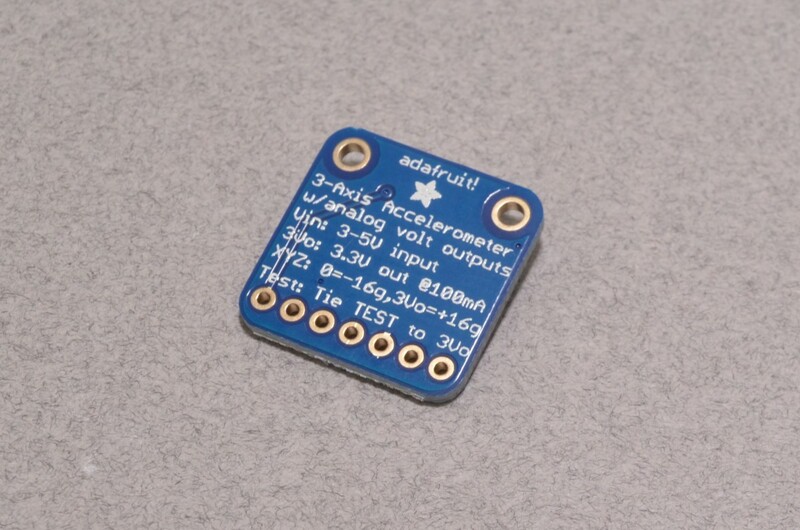 Accelerometers are a great way of detecting orientation, impacts, and most obvious of all, acceleration. 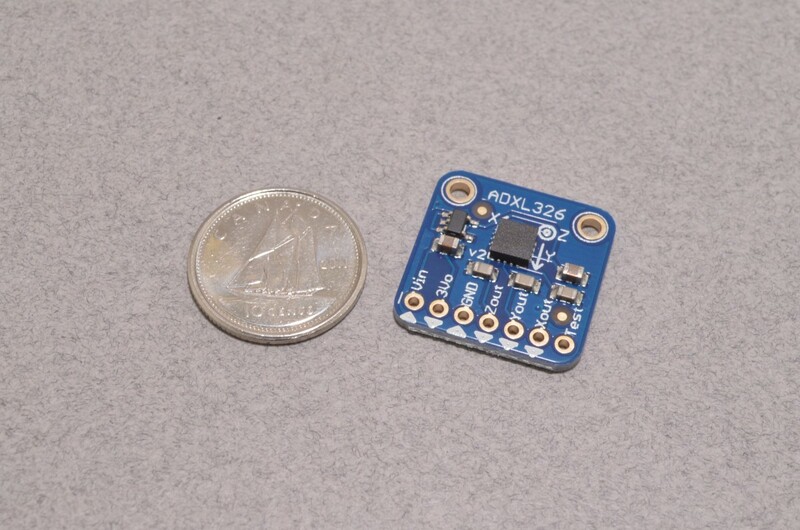 This version of the Analog Devices triple axis accelerometer has a +/-16G range, ideal for higher “G” applications. 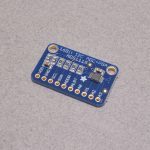 Each axis is output as an analog voltage based on 3.3V logic level and is radiometric (0V being -16G, 3.3V being +16G, and 1.65V being 0G). 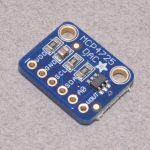 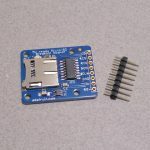 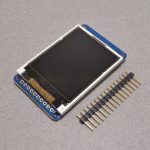 With an analog sensor of this range, we do recommend using a higher resolution Analog to Digital Converter such as Adafruit’s 12-Bit or 16-Bit ADC. 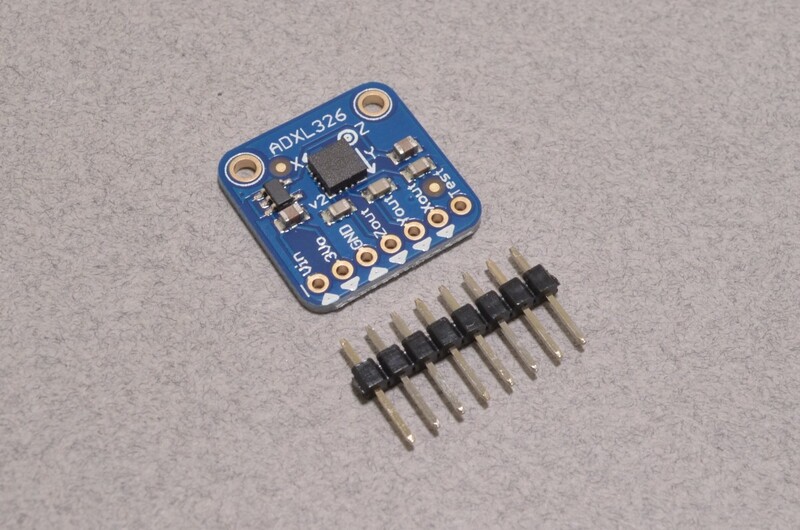 SKU: BOB-010. 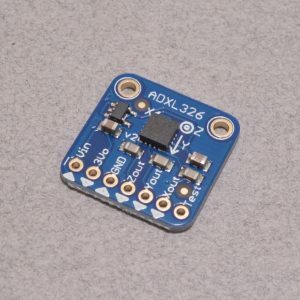 Categories: Breakout Boards, Accelerometers. 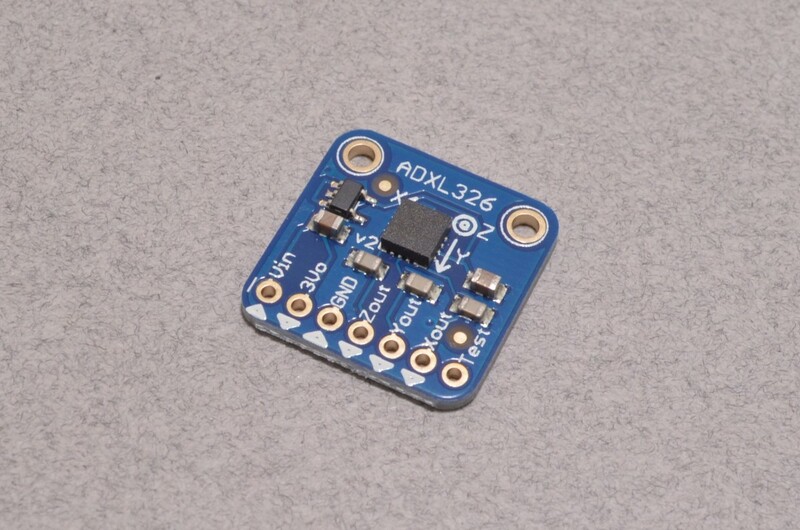 Tags: Accelerometer, Adafruit, Light Packet, Sensor.